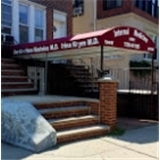 Koutelos & Krym MD (Brooklyn) - Book Appointment Online! Loved Dr.Krym! She was extremely thorogh, attentive and knowledgable. Highly recommernded-- a gem in Brooklyn!